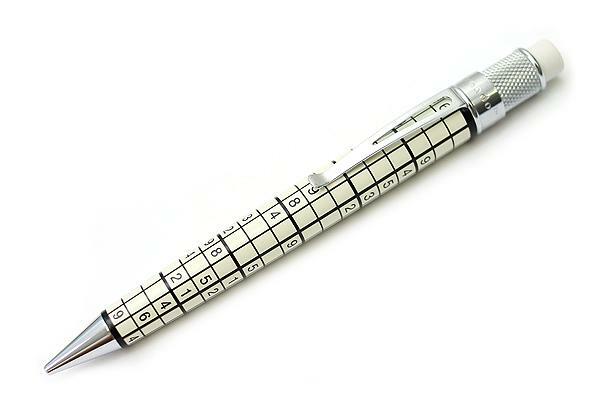 The famous game of Sudoku and crossword puzzles are played on the stem of the collection Tornado. Mechanical pencil rolling 1,18mm with the supplied rubber grommets and mine parts. 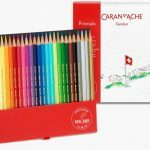 On the occasion of the 100th anniversary of the Swiss maison Caran d’Ache is leaving the collection of tools dedicated to the anniversary. 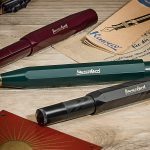 The collection includes of course some of the products that have become icon of the house: the Fixpencil, mechanical pencil lead in falling 2mm aluminum colored leads supplied € 50.00. 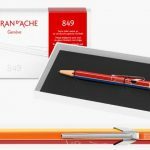 A set of 4 pencils classic calls Technograph graphite gradation HB, B, 2B and 3Bcon sharpener € 24.00. 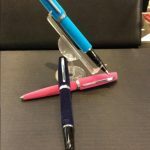 The famous ball 849 hexagonal produced the metal with Ivari color pencils reported on the facets € 39.00. 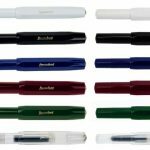 A beautiful box set of 25 watercolor pencils Prismalo to € 52.00 and last but not least in the sphere Ecridor special series plated palladium shiny unalterable engraved with the famous motif ear Chevron in a new, more pronounced, € 145.00.